The Bill Turner Cup is one of the world’s largest team sport competitions. Over 400 schools compete each year – which means around 6,000 players from NSW, Queensland, ACT and Victoria. This knockout-style competition encourages fun and fairplay for players aged 15 and under. The Bill Turner Cup is in its 39th year in 2017. 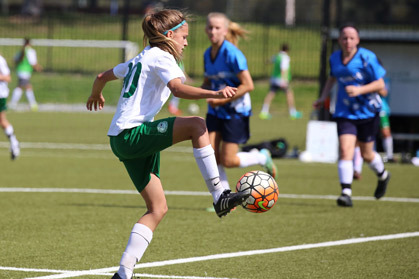 The Bill Turner Trophy is a school soccer competition for girls aged 15 and under. Each year, nearly 400 schools from NSW, Queensland, ACT and Victoria compete in this knockout contest. The Bill Turner Trophy is in its 27th year in 2017. The aims are many and varied, but should be seen in the context of the general aims for the education of students in secondary schools. These aims are to provide another avenue to assist in the development of the future citizens of Australia.